“Peter and the Wolf” was the first workshop of mine the Train Theater commissioned, based on my previous work. 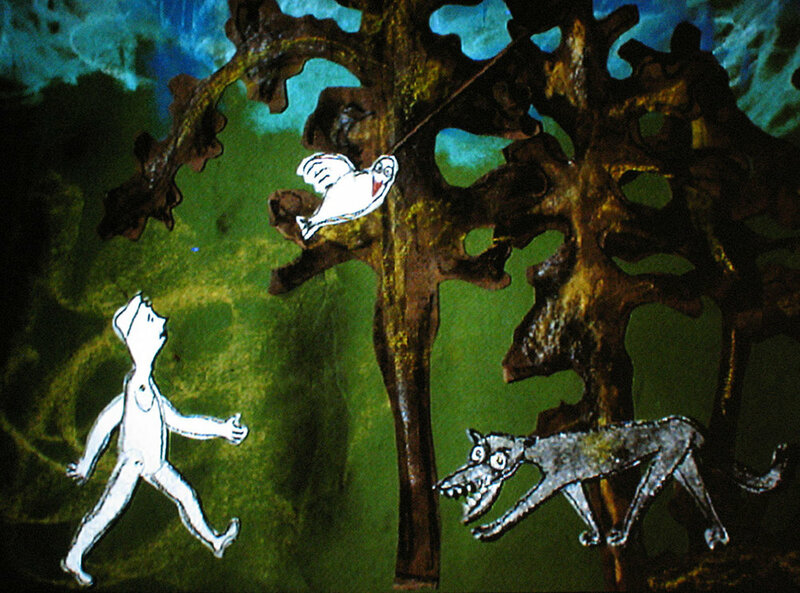 Via an overhead video camera and a projector, I told the story of “Peter and the Wolf” accompanied by the Prokofiev’s music, while demonstrating how it is possible to create a story easily by drawing, erasing, cutting paper and creating characters as the audience watches on a large screen. Then the audience split up into groups. The participants in each group brought up ideas and cooperated to select a narrative and images to present it. Then presented the narrative they created to the rest of the groups via the camera and the projector. This was a lively and rewarding workshop from which everyone left with a smile.